During British rule, both, the Roman Catholics and Protestants had their churches in Ahmedabad. The first Roman Catholic church known as Our Lady of Mount Carmel was built in 1842 at St.Xaviers School campus. In 1864, it was extended. The church was demolished in 1970 and the present church was built in its place. In the Camp area in 1866, a church called Immaculate Conception was built. In 1882, church of St.George was built in camp area opposite to the Camp Hanuman temple. 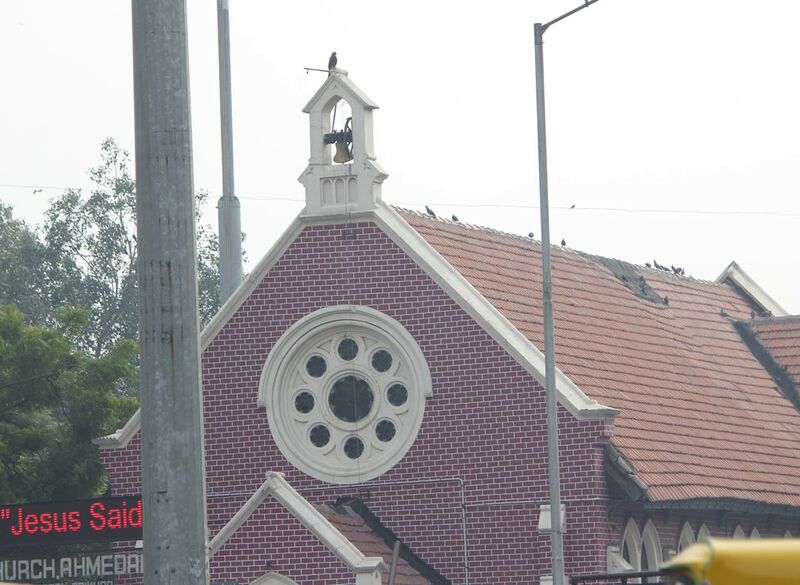 In this very year, a christian church is built in Sabarmati. The first protestant church known as Christ Church was built near Rentiawadi on Mirzapur Road in 1848. 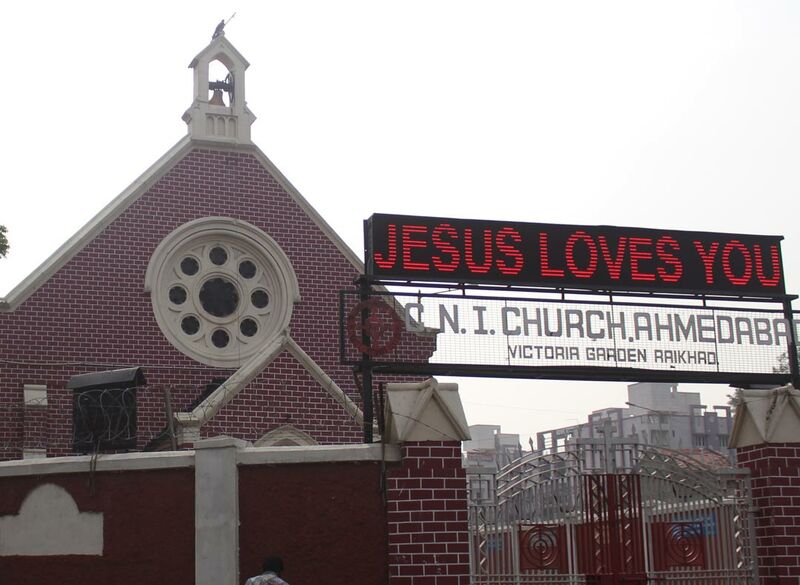 The CNI Church (Church of North India) situated at Raikhad opposite Victoria Garden, was built in 1901 under the guidance of Dr. James Glassgow. At present, this Church is very prominent. The Methodist Church of Siyonnagar, Khokhara Mahemdabad is a fine piece of architecture. 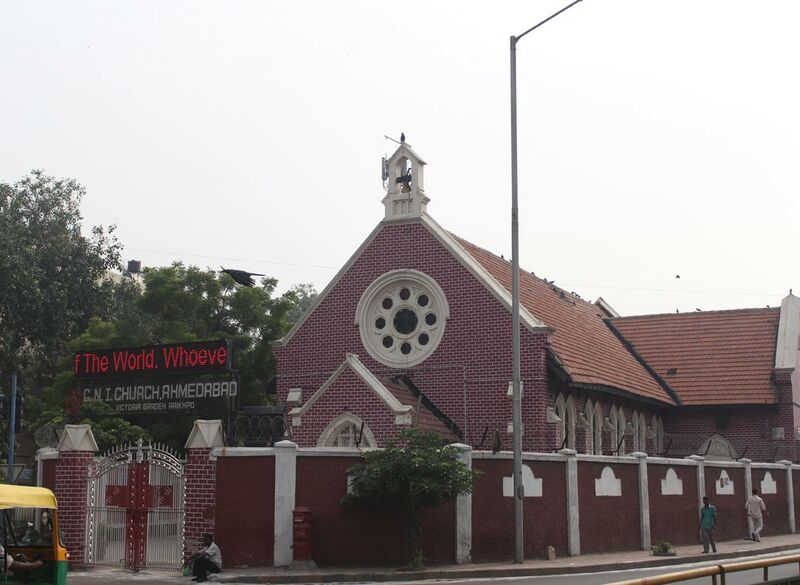 The Sians Allianz Church of Baherampura was built in 1924.